Car security systems and technologies can be broken down into three main categories: deterrents, immobilizers, and trackers. Deterrents are often successful at warning or scaring off potential thieves, immobilizers make it difficult or impossible to drive a stolen vehicle away, and trackers facilitate the process of finding vehicles after they have been stolen. Since each of these categories addresses a different issue, car security systems often use more than one type of device. 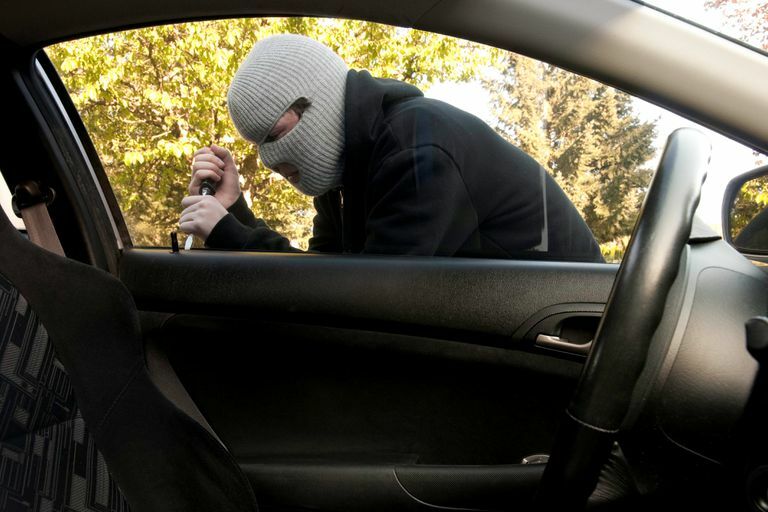 What Are Car Theft Deterrents? It doesn't matter how secure you make a car, how expensive the alarm is, or how fancy the technology is. A determined thief can steal just about anything. With that in mind, one of the best ways to make your car as safe as possible is to make it more difficult to steal or break into, and incentivize any would-be thief to move on to an easier target. Car alarms - While car alarms can be defeated, the basic idea behind an alarm as a deterrent is that most thieves would prefer not to call attention to themselves while they break the law. If a thief sees that a car has an alarm, they may move on to a different target. Steering wheel locks - Like car alarms, steering wheel locks can be defeated. Even the toughest steering wheel lock can be broken, or picked, with the right tools. However, breaking a steering wheel lock takes time, so they can be effective deterrents to theft. Tire deflators - These devices are designed to deflate your car tires if they aren't removed prior to driving the car. When the tires deflate, the vehicle becomes difficult to control and dangerous to drive. Your tires and the rims will be damaged beyond repair if the thief drives for too long, but the upside is that they won't get far with no air in the tires. Window etching - This technique involves etching the vehicle identification number (VIN) on the windows and other parts of a vehicle. Since the VIN can be tracked, this discourages the theft of a vehicle with the intent to sell it for parts. Window decals - This extremely inexpensive deterrent involves placing a decal on the window to advertise the presence of a car alarm or tracking system. Even if the car has no such technology installed, the mere presence of a warning decal may deter some thieves. Wheel locks - These devices are similar to the boots used by parking enforcement. When you park your car, you install the wheel lock, which prevents a thief from simply jumping in the car and driving away. Some deterrents are high tech while others are decidedly low tech, but they all have the same basic function. While a device like a steering wheel lock can be defeated easily enough by a knowledgeable car thief, it may be enough of a hassle that the would-be thief moves on to another target. The same is true for car alarm decals and LED indicators, which serve to warn off potential thieves before a break-in ever occurs. Warning devices like car alarms are often closely tied into a number of systems in a vehicle, so they are almost inextricably linked with certain convenience technologies that aren’t, strictly speaking, car security devices. One prominent example is the remote starter, which is often associated with car alarms even though the technology is only tangentially related to car security. Most deterrents and warning devices are defeatable, which is why immobilizers and tracking devices are also useful. Transponder keys and fobs - Vehicles equipped with this feature will not function if the correct key or key fob isn't present. While it is possible to spoof, doing so is much more difficult than simply hot wiring a different car and driving away. Fuse cut-offs - A fuse cut off may prevent power from getting to the ignition until it is flipped, which requires extra time that a thief might not have. Fuel or spark disablers - These are similar to fuse cut-offs, but they are designed to cut power to the fuel pump or ignition coil, and so prevent the engine from starting and running. Kill switches - A kill switch can be set up in any number of different ways, but it will typically either prevent the vehicle from starting or cause it to stall out if the thief doesn't find and flip the switch. Some of these techniques can be retrofitted into vehicles with the right equipment, and others are mainly OEM. Many newer vehicles use transponders that are either built into the ignition key or key fob, and the vehicle won’t start if the transponder isn’t present. In other cases, the vehicle may not run properly if the right key isn’t in the ignition. Other immobilizing devices are directly tied into a traditional car alarm. If the alarm goes off and someone tries to drive off, it may activate a fuel or spark disabler that will either cause the engine to die or to never start in the first place. In other cases, these types of disablers are tied into tracking systems instead. For more information, check out our guide to choosing a car security system. The final piece of the car security puzzle is tracking. After a vehicle has actually been stolen, it can be very difficult to successfully track it down and recover it. If it has some type of tracking system installed, the process is streamlined, and the recovery rate increases exponentially. Some newer vehicles ship with some type of tracking system from the factory. OEM systems like OnStar and BMW Assist have tracking capabilities that can be activated after a vehicle has been reported as stolen. Other systems, like LoJack, are designed primarily with stolen vehicle tracking and recovery in mind. For more information, check out our guide to vehicle tracking. Can Someone Track Your Vehicle? What Is LoJack and How Does It Work?